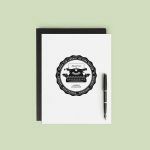 Autumn Wedding Invitation – Noisy Ghost Co. 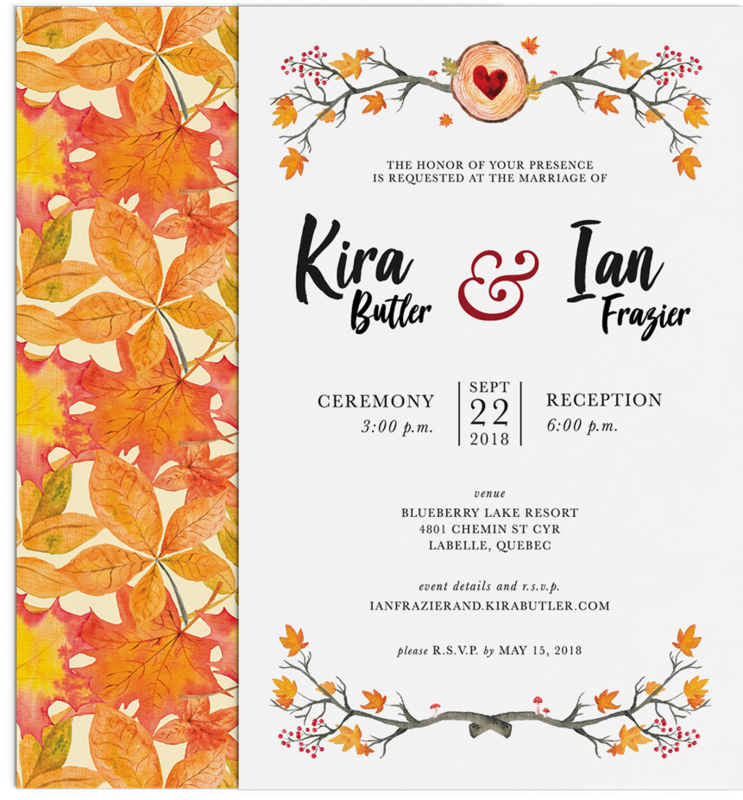 Designed for a rustic autumn wedding beneath the fall foliage, the wedding invitation for Kira Butler and Ian Frazier incorporates elements of the event’s decor: fall leaves, berries, and wood elements all set against crisp, white linen paper. Watercolor elements, brush lettering, and delicate typography sit beneath an elegant, natural arch that embrace the couples’ names. Color choices for the event are reflected in the wedding invitation: an autumn palette of red, orange, yellow, and gold offers a warm, welcoming impression of the event to come. Fall-themed illustrative elements including autumn leaves, wood boughs, and berries are presented in water-colour to soften their appearance, lending the invitation a romantic feeling. 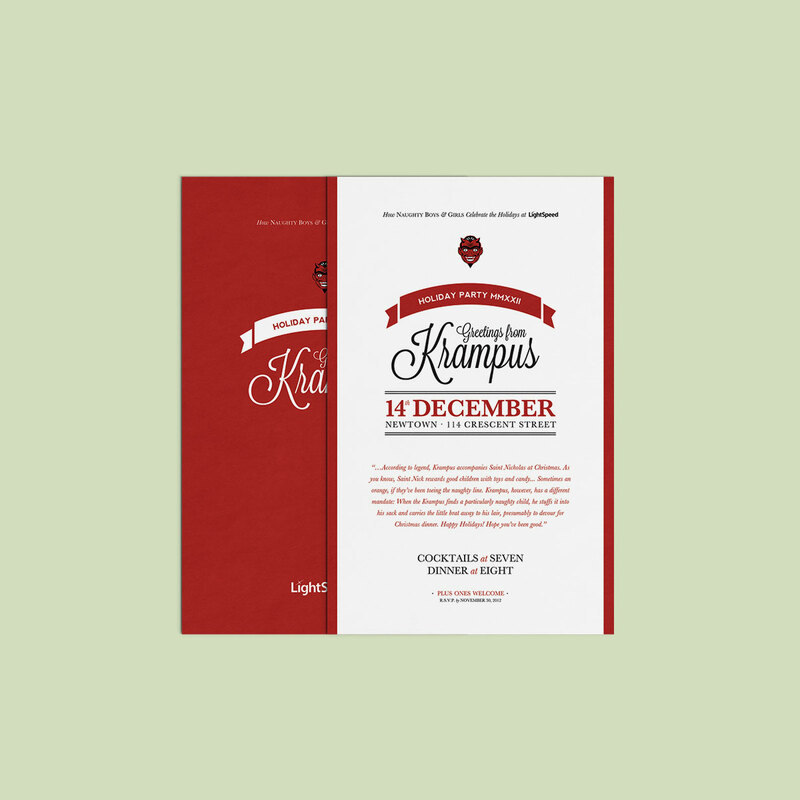 Typography for the wedding invitation is informal and decorative to reinforce the idea that the event will be elegant, but casual and friendly too. Brushlettering offsets Baskerville. 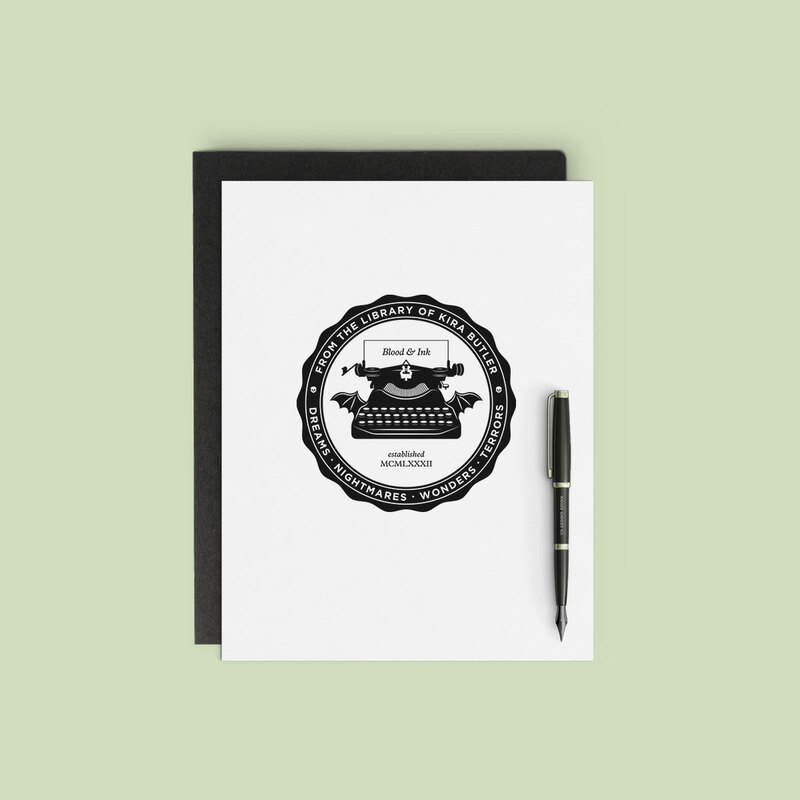 Using the brand mark for horror writer, Kira Butler, the seal adapts the vintage 1920 Corona typewriter and baby batwings as an integrated logo into the design. 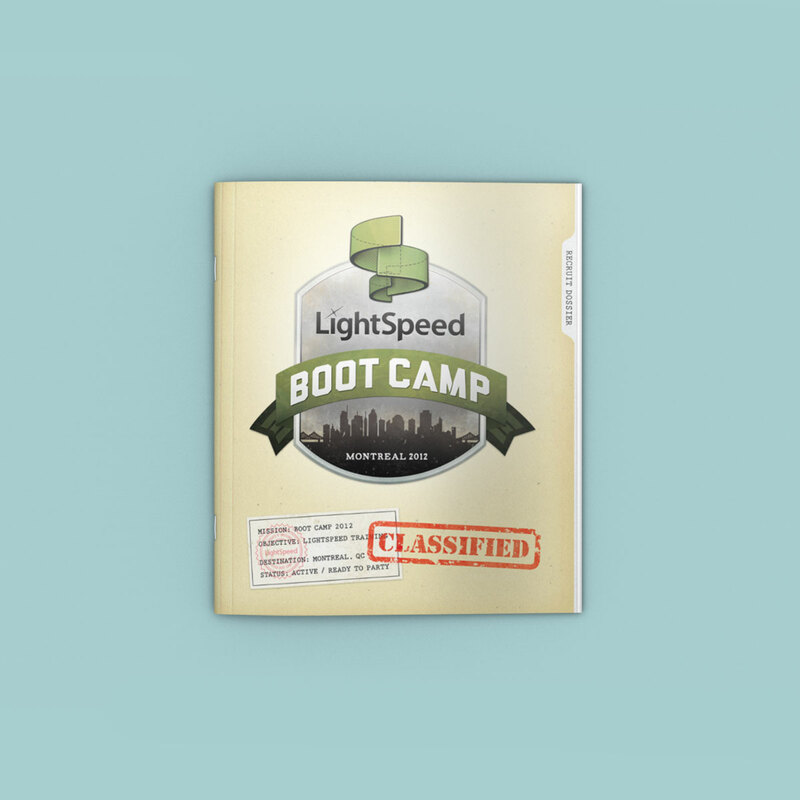 The seal’s design was inspired by embosser stamps used to imprint library books, and has been used in multiple applications for stationary.